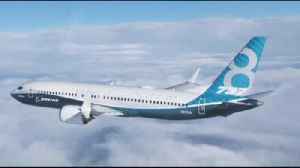 The Chicago-based carrier acknowledged in a new memo that no one in the airline industry knows yet when the Boeing MAX will fly again. 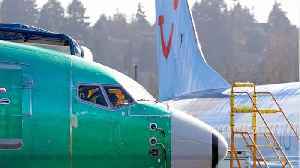 WASHINGTON (AP) — President Donald Trump is offering some unsolicited advice to Boeing, manufacturer of the troubled 737 Max jet. 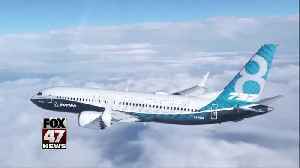 Trump tweeted Monday that if he were in charge of Boeing, he would..
▶ Videos for "Boeing Max"
Boeing's 737 MAX jets will remain grounded for weeks after the Federal Aviation Administration said Monday afternoon that the plane maker continues to work on a software fix. 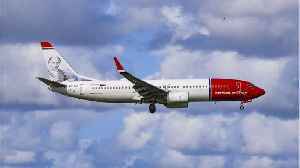 Norwegian Air’s fleet of 18 Boeing 737 MAX 8 aircraft is not equipped with a cockpit light warning of discrepancies between angle of attack sensors, the company said on Friday. 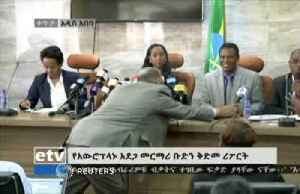 “We have chosen.. 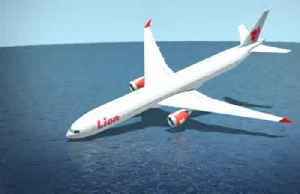 It crashed into the Java Sea and 189 people were killed. 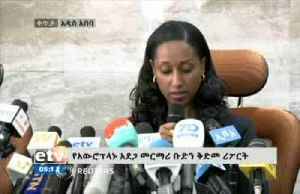 Ethiopian Airlines said on Saturday (March 16) that DNA testing of the remains of the 157 passengers on board flight 302 may take up to six months. 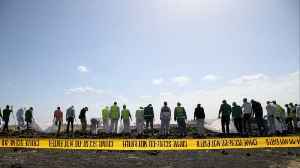 It offered bereaved families charred earth from the..
A tail part found in the wreckage of the crashed Ethiopian Airlines Boeing 737 MAX 8 could indicated similarities with a crash five months ago in Indonesia, say Reuters sources. 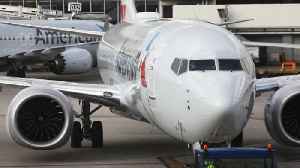 Julian Satterthwaite..
DALLAS (AP) — Southwest Airlines customers relaxing on Thursday evening got an email that may mean their summer vacation could be more stressful and expensive than they planned. 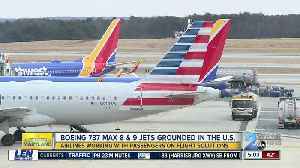 Southwest, the..
___ Southwest doesn't plan to use Boeing Max jets until August DALLAS (AP) — Southwest is removing flights with the troubled Boeing 737 Max aircraft from its schedule through Aug. 5, a period..
· *Southwest Airlines announced on Thursday that all flights using the Boeing 737 Max have been canceled until August 5. 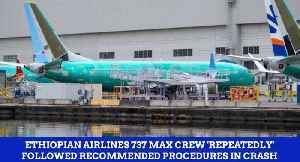 * · *Southwest's fleet of 34 737 Max airliners has been grounded since March..
On March a crash involving a Boeing 737 MAX 8 shook the aviation industry. 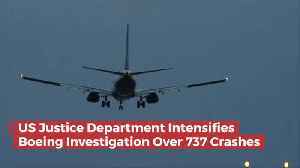 Not only did it take the lives of everyone on board, but it is costing the aviation industry billions of dollars. 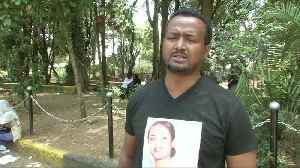 See how this.. 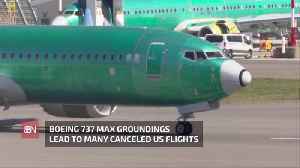 The acting head of the Federal Aviation Administration is telling a senator that safety inspectors who certified the Boeing 737 Max jet are properly trained. 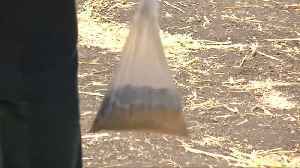 In a letter to the chairman of the.. 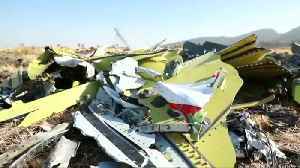 The plane crashes that led to the Boeing 737 MAX 8 plane to be grounded worldwide had clear similarities, but not everything about them was alike. 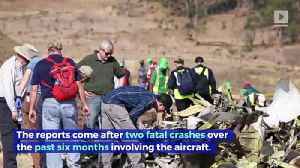 Investigators said on Thursday that the crew on the Ethiopian Airlines Boeing Max jet that crashed last month followed all procedures and recommended that the manufacturer should review the plane’s..
Southwest Airlines has decided to keep its fleet of 34 Boeing Max 8 planes grounded through May. 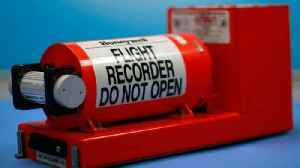 That was the word delivered late Friday to thousands of Southwest pilots via a memo co-authored by.. 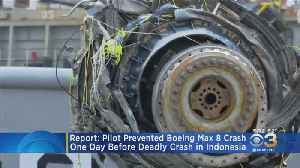 The Federal Aviation Administration (FAA) will significantly change its oversight approach to air safety by July, a U.S. transport department official said on Tuesday, following two fatal Boeing MAX..
ADDIS ABABA, Ethiopia (AP) — Ethiopian Airlines' CEO says the pilots who flew the plane that crashed on March 10 had trained on "all appropriate simulators," rejecting reports that they had not been.. 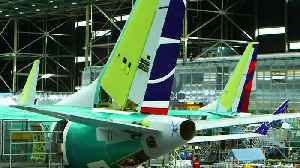 Threatened cancellations of 737 MAX orders by Garuda Indonesia and other carriers may say more about the airlines than the aircraft — and likely won't hurt Boeing in the long term. 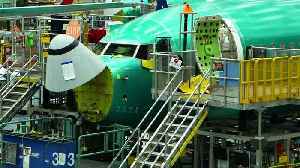 Aviation safety regulators worldwide typically follow the lead of the U.S. Federal Aviation Administration, long considered the gold standard for aircraft safety. 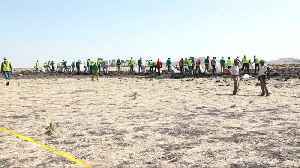 But many decided to ground the..